Four Reasons To Avoid The Fancy Theatre; I love you Mom! My Schedule…and a Little Extra: It’s the theatre you pay $20 per ticket so you can sit in a lounge chair…I went to the fancy movie theatre on Saturday night. I felt like a ding dong…here are the top four reasons I’m not a fan: (1) The lack of beverages…my beverage of choice was unavailable. 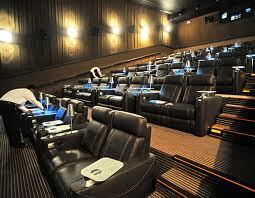 I fully expected to kick back, order a beverage, order some food, and enjoy the movie in comfort. But the experience fell short when we soon discovered the beverages we wanted were not available in our theatre. “What do you mean?” I said. Apparently only a couple of the rooms had an extensive beverage menu. Honestly, that was the primary reason for the concept; (2) The food…it was just barely average. But more importantly, I couldn’t see what I was eating…it made me uncomfortable. I’m not like the rat in Ratatouille that just shoves anything in his mouth. I had to use my cell phone as a flashlight. So while I’m trying to figure out how to eat my invisible food, everyone in the theatre starts laughing at the scene and I missed it while I was trying to navigate…ugh; (3) The prices…a normal theatre is usually about $10/ticket and this is double, and, the food was sub-par for the exorbitant prices they were charging; and (4) The regret…I felt like a ding-dong after paying $80 to go to a movie, and afterwards we went out for dinner and drinks! DING-DONG! Happy Mother’s Day Mom…I love you! My Giveaway: How do you get free movie tickets for “What to Expect While You’re Expecting” tonight in San Diego? — Answer. My Schedule: I am behind the computer all day until 3:30p…then unavailable.